The awarded funds will provide 30 under-served girls with the opportunity to join GOTRSU’s after school program. Fund. The awarded funds will provide 30 under-served girls with the opportunity to join GOTRSU’s after school program. To commemorate this milestone, Girls on the Run Southern Utah will be expanding its program into new schools for the 2015 fall season, allowing a greater number of girls from different areas to participate in its after school program which promotes confidence, character, teamwork, healthy lifestyles and being a good friend to others. The IRONMAN Foundation’s Community Fund will provide a total of $42,200 in community grants, which are given to local non-profits in the greater St. George area, which will use the funds toward initiatives to better the area. “The support from the IRONMAN Foundation is incredible,” says Melissa Miller, Executive Director, Girls on the Run Southern Utah. “These funds are critical to helping us offer our services to the under-served young girls in our community. Our fall program will now have the resources to expand into additional schools.” The beneficiaries from the community grant included six additional non-profits represented in St. George. The grant recipients will be announced in the IRONMAN Village in the Town Square on Thursday, April 30 and Friday, May 1, 2015. The GOTRSU fall season will kick off the first week of September 2015. The 10-week curriculum is taught by certified, volunteer coaches who encourage each girl to understand and celebrate herself, value healthy relationships and realize her power to impact the world. Each season culminates in a celebratory 5k that unleashes confidence through accomplishment, providing participants with a lifelong memory of setting and achieving a big goal. 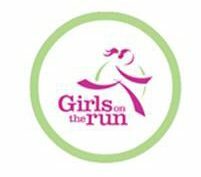 If your school is interested in offering our program to its students, contact Melissa Miller, melissa.miller@girlsontherun.org. Registration for participants will open the end of May 2015 at www.gotrsouthernutah.org. 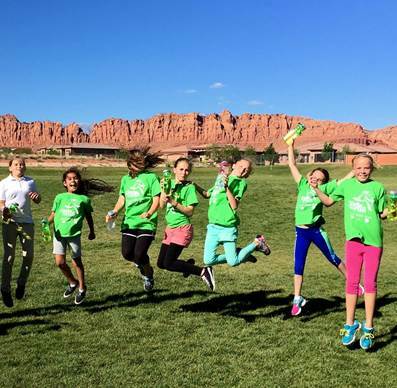 Girls on the Run Southern Utah inspires girls to be joyful, healthy and confident, using a fun experienced-based curriculum which creatively integrates running. For more information, visit www.gotrsouthernutah.org. Dawn McLain, Write It Up! Write It Up! is a small, full service advertising agency based in Southern Utah. Since 1994, our team has focused our efforts on nonprofit organizations and small for profit businesses in need of strategic marketing and public relations planning, development and implementation.